If you are searching for help in understanding how music theory works on guitar, you are in the right place. 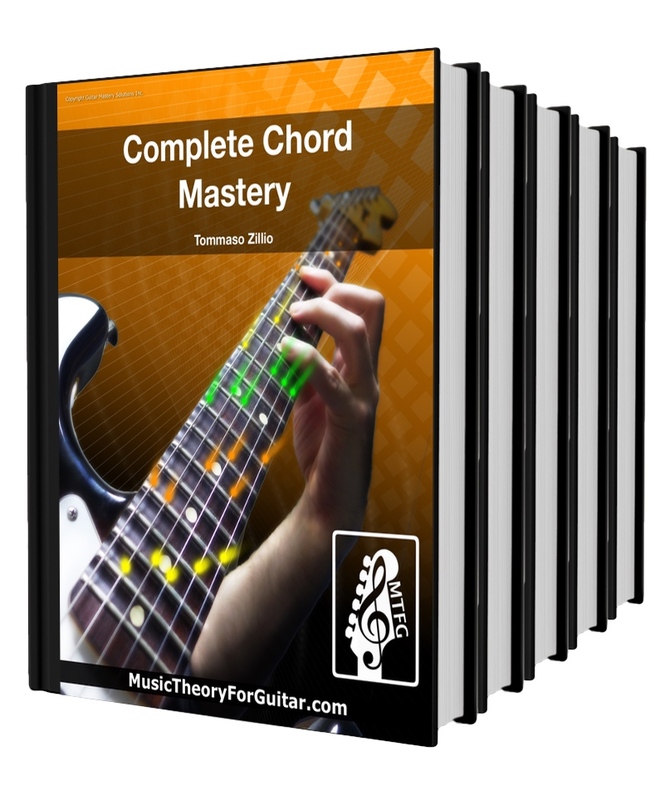 Here you will find a series of guitar courses that will help you unlock the deepest secrets of music theory... complete with a wealth of applications and examples on guitar. These courses do not just teach theory "in theory": they teach theory on the fretboard. You know how some guitar players always seem to create unique, creative and awesome guitar solos ? Somehow, being creative just comes easy for them. How do they do it? They have mastered how to creatively use scales & modes on guitar... and with this I don't mean a bunch of scale patterns thrown together: I mean REAL musical comprehension. Scales and modes are one of the most difficult (and controversial) topic in music theory... to really understand them you need a simple system for understanding, learning, mastering and actually using scales and modes in real music without any limitations. Armed with the core knowledge this system will give you, you will be able to learn and connect everything there is to know about the modes, and at the same time use everything you are going to learn to play real music. 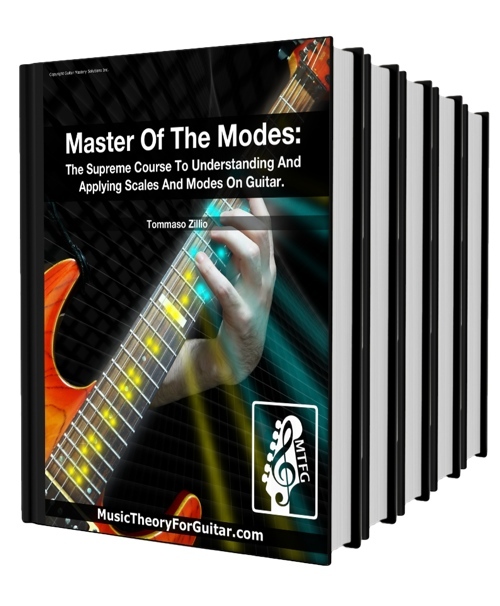 Learn how to finally master completely scales and modes on guitar in a ways that is musically useful and will help you to write, improvise, and play the music YOU want to play! What if you already knew and were able to play any chord on the guitar, in any position and could freely create your own awesome music? I’m not talking about being able to look up any chord, or sit there and waste time trying to figure it out, I mean being able to instantly find and use any chord in any position as fluently as you can speak. Wouldn’t that be awesome? If you’re like most guitar players, you might still be struggling to master guitar chords everywhere on the guitar. Hey, I’ve been there too, we all have. It seems like there is soooo much stuff to learn, and it would take a lifetime to really learn it all! That’s what I used to think. It was so frustrating. ...but what I’ve found is there are people in this world who have mastered chords and it didn’t take that long to do. They aren’t any smarter or more talented than you or I. I’ve developed a system that I now use with my own students to demystify the guitar so that they can quickly learn, understand and (fluently) play all sorts of chords (from simple to very advanced), all over the fretboard, in any position, inversion or voicing. You too can learn how to understand and apply chords and harmony on guitar and be able to write interesting chord progression, use complex chords without even thinking, play awesome rhythm parts on your guitar in any style YOU want! You hear great Blues players creating solos that sound amazing but have no idea how to do it by yourself? Are you thinking too much about "what to play next" rather than letting your emotions speak through your playing? Do you struggle in playing the Blues in all keys and over all the fretboard (as opposed in just one basic position)? If you have answered "yes" to any of the questions above, then you need to learn how music theory applies to Blues, and how to implement this knowledge into your guitar playing in an effective way. 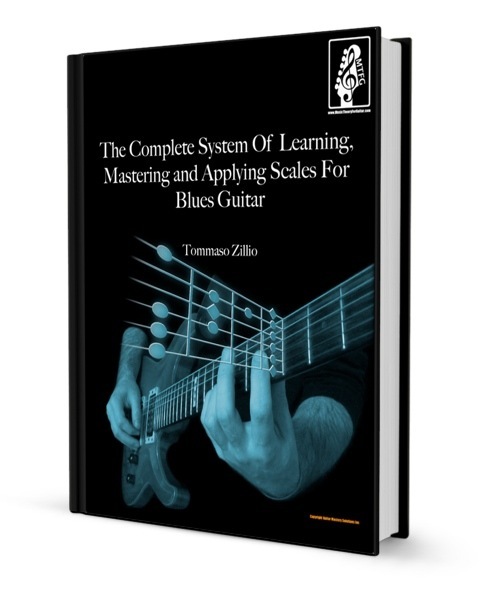 Read about how to finally master all the scales for Blues guitar, how to get rid of your frustration and lack of confidence once and for all, and how to finally play Blues from your heart!